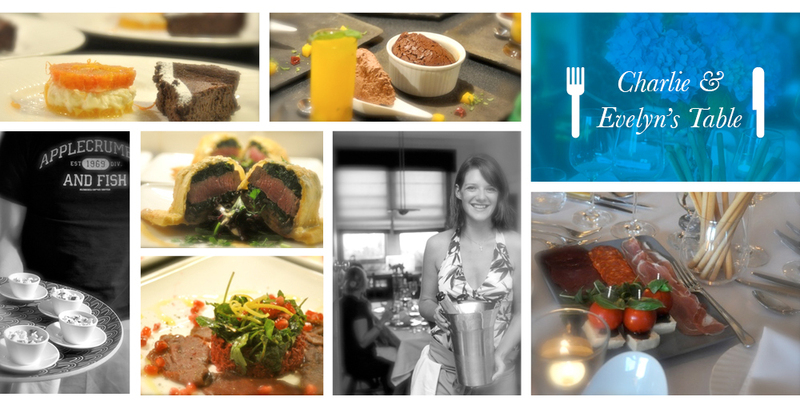 SUPPER CLUBS | mymonkfish - Food and drink news, Edinburgh, Scotland and beyond. This article was written in late 2011 and many of the supper clubs we visited are no longer in existence. On the bright side many of the hosts have gone on to bigger and better things – see the updated 2014 directory to see what’s what. It’s Saturday night in Edinburgh and people are going out to dinner…pretty normal behaviour for a city with such a buzzing restaurant scene. However, plenty of people are staying in too. Saturday for them means shopping for the finest ingredients at the farmer’s market or the local fishmonger and cooking up a storm in their kitchens. But we’re not talking about the traditional ‘staying in’ here. This is something much more exciting. These people are cooking up a storm in their kitchens for…….ten, or twelve (or more) people who have secured a place at an underground dining venue known as a supper club. Welcome to the new ‘eating out…in’. For those of you seeking an ‘alternative eating experience’ this could be for you. First up a brief history of this ‘experiential dining’ phenomenon…. “You can’t invent having people for dinner” (Rachel Rowley, Oct 2011) but what you can invent is the ‘experience’ that a supper club has to offer. Home restaurants known as ‘paladares’ (Spanish for palate) started in South America soon after the Cuban revolution primarily set up in response to government restrictions. They reached the East Coast of America and Paris in the noughties, and in 2009 the first two launched in London – namely ‘The Secret Ingredient‘ hosted by Horton Jupiter and ‘The Underground Restaurant‘ hosted by Kirsten Rodgers. Perhaps one vital fact to note before moving on was mentioned by Zoe Williams for The Guardian in February 2009 in her article about the London supper club scene – “Now, I’ve never been to a US supper club, but I have been to Cuba, and I can say one downside to the paladares experience is how disgusting all the food is”. Fear not, this is definitely not the case for the supper clubs out with Latin America – they are hosted by foodies for foodies. Food fetishes and obsessions are abound and the sense of effort put in is astounding. The first supper club in Edinburgh opened its doors in December 2009. Inspired by ‘The Salad Club‘ Rachel and Chris Rowley launched ‘Charlie and Evelyn’s Table’. They opened up their home to strangers, they were the first ‘experiential dining experience’ in Scotland and that was the start of it……the supper club revolution! The Monkfish mission, should we choose to accept it, is to attend as many Edinburgh *Secret* Supper Clubs as possible in as short a time as possible….with the remit of getting right to the heart of the ‘scene’ and to understand who, why, where and when. Constantly in search of a comedy moment (or two) let’s not lie about the fact that this was going to be one hell of a people watching experiment and here at Monkfish Castle that was music to our ears. Expecting a fine line between comedy and tragedy hopes were high that our experiences would all be a lark, what could possibly go wrong? Diary wise October looked good, we’d be back from a two week break in Andalucia and waist bands would already be well and truly expanded so another couple of weeks of over eating and slurping the old vino collapso wouldn’t matter….. With Facebook, Twitter, and all other manner of social networks at the ready (essential for booking your seats) the logistics and planning began. The Supper Club tour included a ‘trial’ eating at ‘Table for Ten’ a newbie on the block; a Sunday lunch eating with a new(ish) club ‘Crescent Dining’; a Saturday night eating at the more established ‘my home supper club’ (with help from Meena, host of ‘Chai Lounge’, the first Indian supper club in Edinburgh whose debut ‘eating’ was at the end of October). Along the tour we also spent time with Rachel, the hostess from ‘Charlie and Evelyn’s Table’ the first supper club to appear on the Edinburgh scene; Mark Porter from ‘Kitchen Porter’ the second club on the scene; and the lovely Queen of Tarts who hosts a fabulous afternoon tea party in her parlour. If that wasn’t enough to satisfy us a very special guest just so happened to be in town during October, the Queen of Supper Clubs herself, Ms Kirsten Rodgers, founder of the London Underground Restaurant in January 2009 and author of ‘Supper Club’ published 2011. We dined with Ms Marmite on two occasions in 24 hours, a formidable experience. All the hosts we’ve met on this supper club tour are from completely different backgrounds – PR and marketing, micro-biology, higher education, waste management….we’ve met a BBC radio journalist, mothers, ex-chefs, hope-to-be chefs, photographers, a food stylist and an I.T. consultant! Mymonkfish can safely conclude that there are no pre-requisites to this chosen vocation. One of the hosts we met actually dines with the guests for the whole ‘eating’. 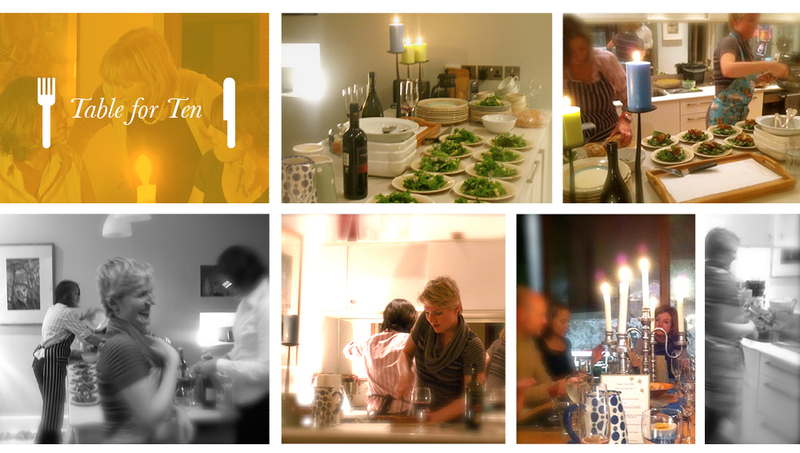 This is unusual as most hosts are busy in the kitchen but this particular supper club has 4 hosts so it works for them. One rule that seemed pretty common with all of the hosts who cook was ‘no wine till the mains are away’. Kirsten Rodgers reiterated this to us – ‘you must keep your wits about you until the desserts are up’ – quite right and I think most of the cooks we spoke to feel exactly the same way. Why jeopardise spoiling something you are so passionate about? Motives vary from one end of the spectrum to the other – personal reasons to ego-trips – and delightfully there was no consistent ground between them. How boring would it be if they were all the same? The differences in reasons were as vast as the differences in supper club experiences….the only similarities being we were guests in someone else’s house eating dinner and meeting new people. Calum, the chef at Crescent Dining explained that his ambition is to head up his own restaurant so creating menus and cooking dishes for the supper clubs gives him plenty of practice for a future career. Mark of Kitchen Porter is a trained chef who has worked alongside Richard Corrigan in London amongst others. Now pursuing a more leisurely career of training budding chefs he still wants to create restaurant style food for people. With low overheads and little pressure a supper club just made sense. Supper club dining ordinarily takes place at the home of the supper club host. Each host opens up their lives, their homes, their bathrooms, their personal possessions, their ‘things’ for all of us to see, touch and feel. Of course, we, the guests, love it. You can’t beat a good old nose around other people’s homes but from what we experienced during the ‘tour’ the supper club guests have a mutual understanding that they are invading a stranger’s personal space and tend to act accordingly. Great care is taken with beautiful vintage china and glasses, no drinks are spilt, no plates are dropped (there’s the occasional mishap of course) and guests almost want to offer help with the washing up. Well, I did…. From all the dining experiences we had the underlying feeling was that we were having a great evening out (but ‘in’), sitting around the table** for hours, having a laugh, engaging in interesting conversations, eating good and great food, and making new friends. Comfy. Yes, it was comfy. Rachel (of Charlie & Evelyn’s Table) has a lovely story about their table. It belonged to her husband Chris’ grandparents hence they named their supper club after them. Chris spent many a family Christmas, birthday and other occasions around this table so how endearing that they can now use it for their supper club guests. Some tables are big enough for all the guests to sit round together and some have ‘put-me-up’s’ pushed on to the end of other tables to make enough room. Some clubs have a couple of tables rather than one, however all of the dining spaces are organised with the utmost care and attention and everything is ‘just so’. Each club has its own particular ‘table-style’ from white linen with white crockery to vintage cutlery and utility china. Each expresses its own style in keeping with its host. A definite extension of the host’s personality and character. So who are typical supper club guests? Is there a typical guest? We’ve met students, couples, singletons and golden oldies along the way, there doesn’t seem to be a ‘demo graph’ for the typical guest. Having said that some clubs seem to attract different types of people by the nature of what they’re offering. The Queen of Tarts predominantly attracts women as the notion of ‘high tea’ lends itself to that audience. Having said that she has over 70 men who LIKE her Facebook page and the odd one makes an appearance every so often! 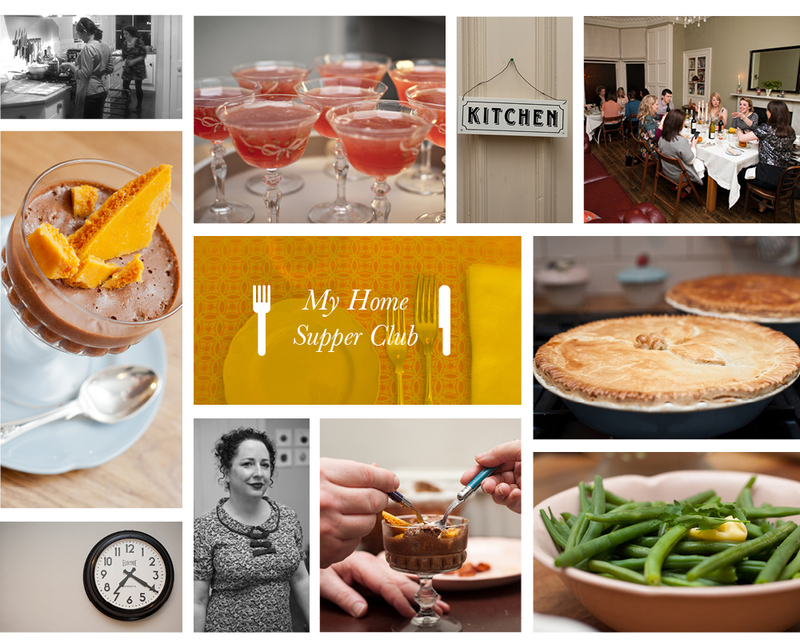 My Home Supper Club brings in various people from in and around Edinburgh. There was a 50:50 men to women split on the particular night that we attended although that is not always the case. Research during the tour proved that it’s usually the women who tend to book events (in the case of couples) or it’s single women that attend more supper clubs than single men. Come on boys, push the boundaries of your social lives and get along to these fantastic culinary experiences. Kitchen Porter said that initially they attracted a much older age group than expected however Mark commented that this was because the older generation tend to be more interested in food and it becomes more important to them as a social event compared to a younger age bracket. What we found great about all the supper clubs we attended was that the majority of us are like minded people. We like food (hell yeah), we like socialising (indeed), we enjoy chatting to random people and we want to widen our life experiences. A supper club can do all of these things and more. We’ve come away with new friends, new ideas and lots of opportunities. It’s a win win situation. You’re probably going to ask why there hasn’t been much mention about the food yet. Yes, this is a food blog, we predominantly talk about food, we predominantly eat food (lots of), but for us this particular adventure was as much about the people, the ambience, and the ‘scene’ as it was the food. As mentioned some of the supper club hosts are budding chefs, they are keen to open their own restaurants and some are looking for ‘guinea pigs’ to test out their new creations and ideas. What better way to do that than host a supper club. We’ve eaten family style sharing food, amazing Indian street food and a very fine Sunday lunch. Each ‘food’ experience was different, much of it a world away from our usual restaurant haunts which was very refreshing. The supper club hosts are foodies in every sense of the word. The preparation involved is phenomenal leaving no room for error on the night. There is no frantic last minute panics coming from the kitchen, at least not on the occasions that we were there! To sum up here are a few interesting morsels about the Edinburgh Supper clubs in case any of you have any questions…..
MORSEL NUMBER ONE – Competitiveness – is there any? There is no competition between the supper clubs in Edinburgh. From speaking to them all they are fully supportive of each other and respect what each other do. None of them are in fear of each other, everyone’s happy, yippee. MORSEL NUMBER TWO – Shop Local. All of the hosts said how important it was for them to ‘shop local’ – as avid supporters of all things ‘local’ this was really refreshing to hear. Although this often adds to the expense of the night this was paramount to each club to ensure that the best quality produce is offered to their diners. Suppliers of choice were the Edinburgh Farmers Market, Hugh Grierson’s butchers, Hopetoun Farm Shop, George Bower’s the butcher and Armstrong’s the fishmonger in Stockbridge. MORSEL NUMBER THREE – Booze. Maybe some of you didn’t realise this but all supper clubs have a BYOB policy! Another reason that this is perhaps the future of dining out? Treat yourself to that expensive Chablis or Pinot Noir from your favourite wine merchant, sit back and enjoy. Wine etiquette can differ from club to club but most operate a ‘name tag policy’ on the bottle so you know whose is whose. Feel free to share yours with others though as many did during our tour. MORSEL NUMBER FOUR – Annoying guests. Yes, it’s bound to happen, that one annoying guest who ruins it for the rest of us but from speaking to the hosts this is a rare occurrence. Most hosts can rise above these pedantic people and can carry on the party regardless. Let’s face it, there’s always one….. During the time the Queen of Tarts has been in operation she’s had over 200 people in her parlour and has only ever wanted to throw two of them out, let’s not divulge any more than that! MORSEL NUMBER FIVE – Payment. Most supper clubs operate an honesty policy and leave an envelope for each guest at the end of the night for payment. Prices per head are suggested by the supper club host but are by no means ‘fixed’ – they average around £25 – bargain. Feel free to leave a tip! The hosts work extremely hard in making your night as enjoyable as possible, the ‘eatings’ are not major money making ventures, they’re in it for ‘the love of it’ so make their day and leave a wee something. If you were dining in town you’d more than likely leave the obligatory 10% so why not do it at a supper club too. So, what’s next? When will Edinburgh reach Supper Club saturation? Well, not yet hopefully. Eating and dining experiences are changing. Supper Clubs are just the start. The trend for ‘experiential dining’ is hot right now. Consumers want more than good food when they go out. They want an experience too. In a fast paced world of social media and incessant twitter ramblings people are yearning for a sharing and togetherness experience. London’s ‘Stolen Supper Club‘ run by Mia Kulla and Leandro Santos involves carrying out ‘heists’ on leading restaurants then serving dishes stolen from their menus. What makes this experience even more exciting is that some of the chefs who’ve had their napkins, menus and coasters ‘culled’ for these events have been championing them rather than getting angry. Richard Corrigan – “I think the second course looks a little heavy for the diners. Maybe try something lighter” he said…. Classic, the hosts thought they’d been well and truly rumbled when trying to emulate Corrigan’s of Mayfair but the chef began to make recommendations as to how the menu should look, brilliant. You couldn’t write it. London’s only outdoor food night market – The Long Table. A hand picked selection of London’s finest street food including Hawksmoor, Moro and The Yum Buns. ‘The best meals in life are about who you share them with.’ In our humble opinion this one looks amazing, food, bar, music, all very cool indeed – a pop up outdoor food market in the heart of Hackney. Set to be a very happening gathering. The experiential dining future is very bright. Enjoy. 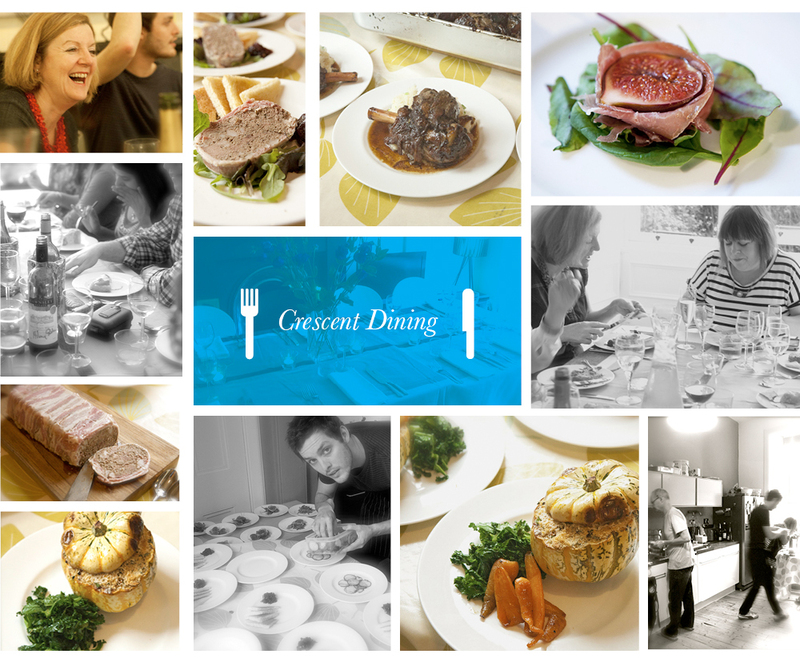 PLEASE CLICK HERE FOR FULL EDINBURGH SUPPER CLUB DIRECTORY….